Reebok Men's T-Shirt Just $9.99! Down From $30! Shipped! 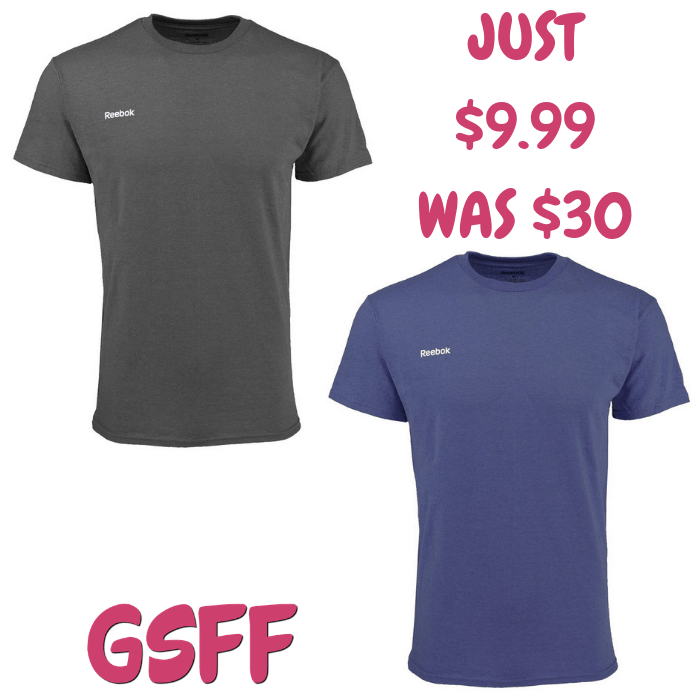 You are here: Home / Great Deals / Reebok Men’s T-Shirt Just $9.99! Down From $30! Shipped! Reebok Men’s T-Shirt Just $9.99! Down From $30! Shipped! For a limited time only! Head over to Proozy to score this Reebok Men’s T-Shirt for just $9.99 down from $29.99 PLUS FREE shipping! Press on effortlessly in any workout with the Reebok Men’s Heathered T-Shirt. Made with super-lightweight fabric, this tee feels incredibly soft, breathable, and comfortable. Crewneck cut creates a classic, movable fit.